Wrap your Hood, Roof, Car or Interior! Carbon Fiber on vehicle hood, trunk, roof, body panels, inetrior and any extra large surface to give an appearance of carbon fiber. Carbon fiber vinyl film looks like real carbon fiber but is less expensive and more versatile. 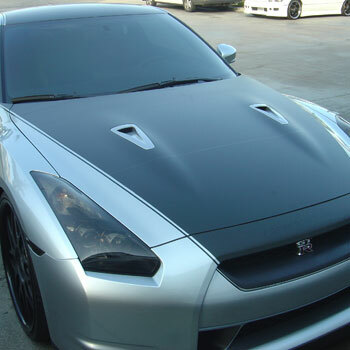 Our carbon fiber film can be applied to any curved or flat surface with ease. The 3D carbon fiber textured finish allows for light to reflect at different angles giving it an appearance that is supperior to real carbon fiber with Controltac adhesive technology allows for dry and bubble free application over the most challenging surfaces.